A complete portfolio management platform with advanced analytics, performance measurement, reporting and workflow management for enhanced investment operations. A central research management repository for all information relevant to the investment lifecycle including activities, meetings, documents, reports and contacts. Take charge of investor and investment liquidity by managing your portfolio daily to meet your firm's desired liquidity risk profile and never miss a notice date or liquidity option. Efficiently manage communications, capital movements, meetings, and client interactions in a centralized system and bring organization to the fund raising process. Our Data Aggregation tool allows you to gain deeper visibility into your managers, their investments and your firm within a centralized solution. Seamlessly connect to third-party data flows or leverage our Analyst Team to manage data collection and input so every single data point your fund requires is standardized, centralized and reportable. 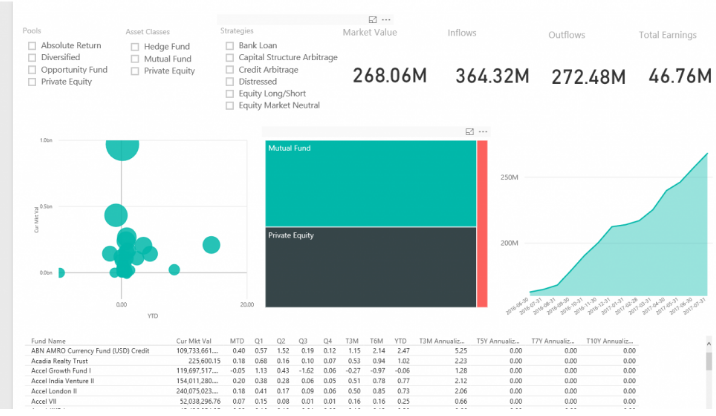 Our solution delivers powerful visualization and analytics tools that allow your firm to create interactive dashboards to ignite new insights and achieve deeper analysis that results in outstanding investment decisions and returns. The Ledgex platform delivers an intuitive approach to workflow management, guiding users through an activity path that ensures tasks and process are completed uniformly, accurately and consistently. Effective workflow management ensures process compliance, strengthens operational controls and ultimately improves the investment management lifecycle.